The Hireman has an extensive range of power and welding tools available to hire across London. We have generators available from 3.4kVA all the way up to 15.0kVA dual voltage machine which allows for many power tools to be used from a single generator. 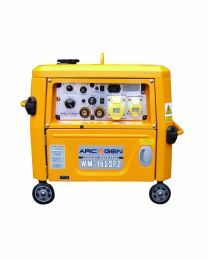 The 15.0kVA generator has a super silent function which helps reduce noise pollution. As well as generators we stock extension leads and transformers to help solve your power problems.